The hepatitis B vaccine is recommended for healthcare workers, people who live with someone with hepatitis B, and others at higher risk. 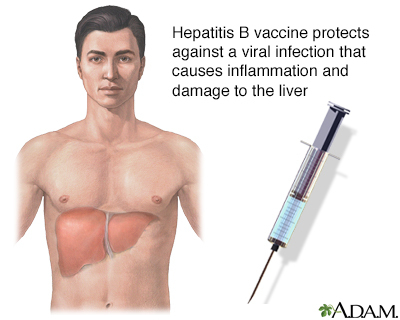 The hepatitis B virus can damage liver cells. Immunization is also recommended for all infants and unvaccinated adolescents.